Why should you believe in Celestina? Because Celestina, for the first time in her life, is learning to believe in herself. If you asked her 6 six weeks ago what she was good at, she’d repeat the story she’d been told: that she’s not a good cook and she’s not good at anything else either for that matter. If you asked her what she liked, she’d pause and consider it, as if for the very first time. Celestina grew up high in the Andes Mountains. It wasn’t the dirt floors or the lack of windows, running water, and electricity that damaged her. It was the lack of hope. Celestina’s dad died when she was 10 and at 14, she moved to the city to work as a housekeeper. She met her husband, who was 7 years her senior, when she was 16 and soon had their first baby. She tried to leave the abusive situation four times before but always returned because she did not have a way to feed herself or her kids. We found her on her fifth attempt. She says there would’ve been a sixth if she hadn’t found her way out through our Nuevo Camino program. If you ask her today, Celestina is hearing and repeating (and BELIEVING) a new story. In this story, she’s not too old or too uneducated or too poor to change the course of her life. She has exactly what she needs–her own two hands and feet, plus a ton of support to put those hands to the work and those feet to the next step. Just one step. For her, that first step was a temporary job making cement blocks for 12 hours a day with her 8-month old baby strapped to her back. It was her first job since getting married and she found she was stronger than she knew. And now she’s on to another step–selling traditional Peruvian drinks at the market. 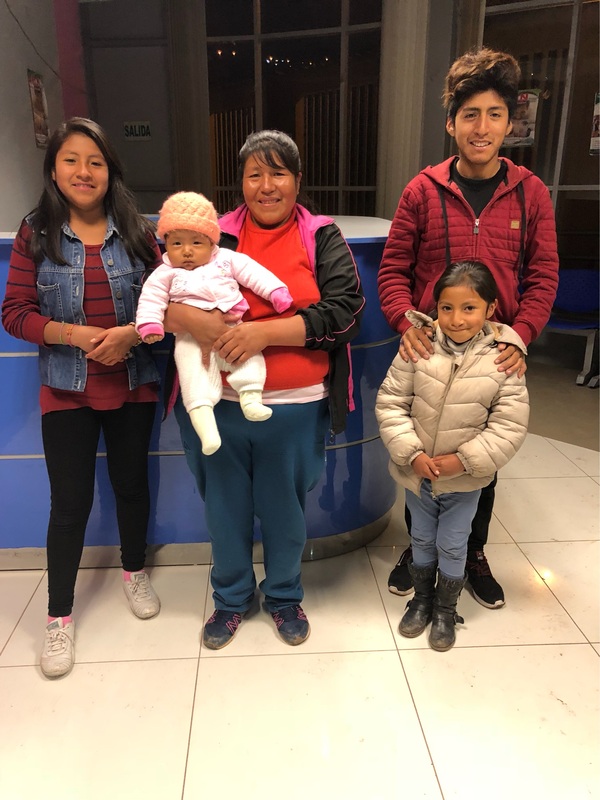 This will give Celestina flexibility to care for her children while she works and room to grow into new roles and responsibilities. Just like anyone starting a new job, she’s nervous. But she’s hopeful too. Go HERE to support Celestina and the other mammas of Nuevo Camino!